Nell Casey is the editor of The Journals of Spalding Gray, An Uncertain Inheritance: Writers on Caring for Family, and the national best seller Unholy Ghost: Writers on Depression. She lives in Brooklyn with her husband and two children. 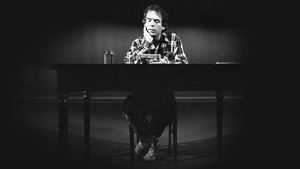 Steven Soderbergh delivers a poignant psychological portrait of the late Spalding Gray in this deftly structured documentary.